More details abound on Webhead’s return! According to The Hollywood Reporter, the new (Superior?) Spider-Man will appear in a previously announced Phase Three film, and most of us expect it to be Captain America: Civil War. Then, Spidey gets his own new movie on July 28, 2017, which was the original release date for the next Thor. Thor: Ragnarok has now moved to Nov. 3, 2017. But that was Black Panther‘s release date, so he’s been pushed to July 6, 2018. But that was Captain Marvel‘s release date, so she gets Nov. 2, 2018. But that was Inhumans‘ release date, so now they’re stuck with July 12, 2019. Basically, everything from Thor: Ragnarok has been pushed one slot down. What isn’t yet known is if this will affect the release of Avengers: Infinity War I & II. 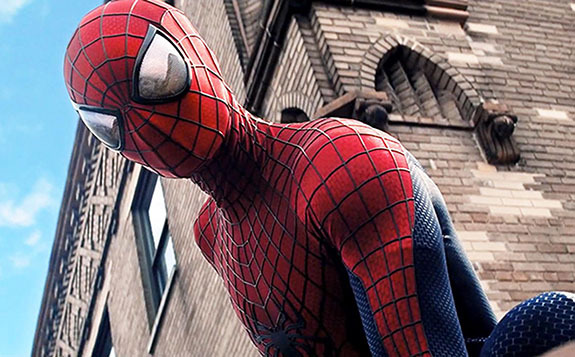 Kevin Feige and Amy Pascal will produce the new Spider-Man, with Avi Arad and Matt Tolmach executive producing.